Stainless steel has high strength and workability in combination with corrosion resistance. These properties combine the advantages of carbon steels with the added bonus of corrosion resistance making them an ideal alternative for outdoor projects. 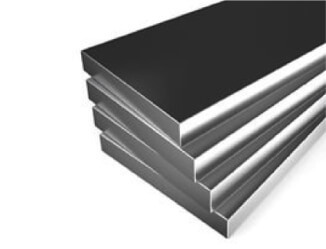 The most general stainless steel grade is 304 which is widely used for fabrications and is available in most forms, it combines good corrosion resistance with machining and forming capabilities . Grade 316 has better corrosion resistance and is normally used for marine or coastal areas where environment or atmosphere is more aggressive. Rebar or reinforcing bars are utilised in the reinforcement of concrete. These low carbon steel rebars are used as tension devices to strengthen and reinforce the structure of concrete or masonry. Rebars are vital in enforcing and reinforcing concrete or masonry. Concrete is strong in compression but weak in tension and rebars are used to compensate this imbalance. This strengthens and reinforces concrete structures and ensures that concrete does not crack over time. Reinforcing bars are also used to relieve concentrated loads that are exerted on the concrete which is vital if a structure consists largely of concrete. Masonry structures created using mortar have similar problems and reinforcement bars also aid in the reinforcement of these types of structures. Mild steel has a thermal expansion that is almost equal to modern concrete which aids in this process. If the thermal expansion levels were different then it would be impossible to use rebars to reinforce concrete or masonry.